Sterling silver floral design band ring from the Suarti Collection. The head of the ring features a pretty open work design of flowers. 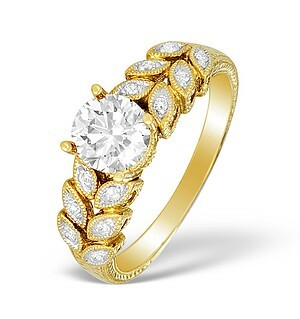 This is the perfect ring to complete a feminine springtime look. 14K W Gold Tanzanite and Diamond Ring 0.63 Ct.
ILIANA 18K Y Gold Kunzite and Diamond Ring Size O 3.150 Ct.